Top of the mornin’ to all our style seekers. Those lucky enough to hit London’s Bubble tradeshow over the past two days were in for plenty of treats. 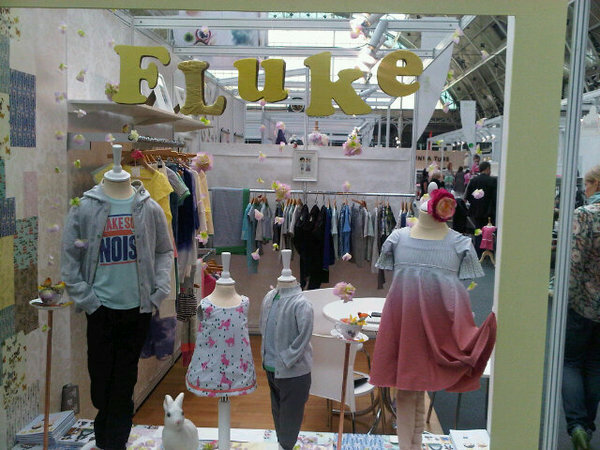 Showcasing the very best of Britain and Europe, Bubble was the place to be for the most exciting children’s fashion and products. Babyology scouted the newest labels and took a peek at what some of our old favourites are up to so that you can sit back and enjoy a virtual Bubble tour. There is a certain style – think Liberty prints, linens, smocking, pinafores and vests – that lends itself to high tea, luncheon on the lawn and all things British. A handful of talented British designers on show at Bubble capture this design aesthetic to perfection, as well as giving it their own individual and modern twist. 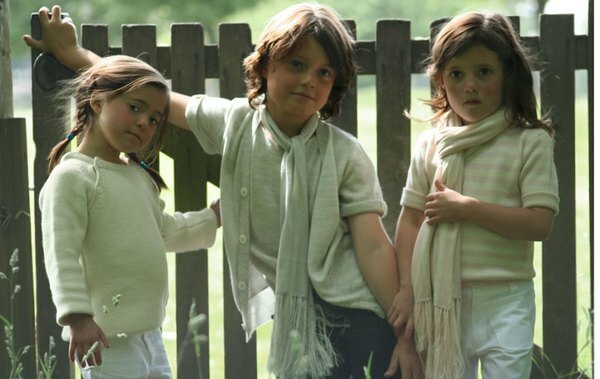 Poppy & Ned is everything that I love in British designers – luxurious knits (who says kids can’t wear cashmere? ), a delicate colour palette and party dresses so pretty (above and at top) that I expect little girls will never want to take them off. The layette collection for babies is exquisite and the cashmere pram coat with matching leggings and hat deserves to be seen taking a turn in the Silvercross. It’s no fluke that new kid on the block Fluke is getting rave reviews. Their designs marry superb details with practical and fun styles. A ruffle here, a little trim there – it all adds up to pieces that break with tradition yet are still classic (see above and below). 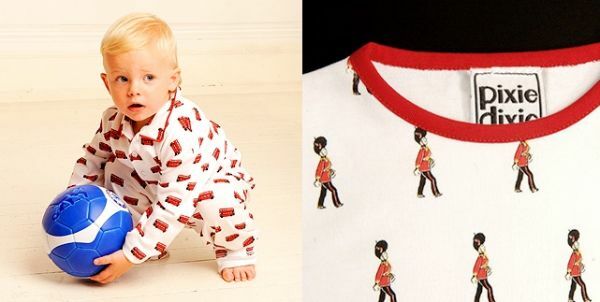 Their Nibs combines quirky prints with authentic vintage shapes – expect to see superb girls sundresses in bold, modern florals and boys basics, such as hoodies, with a retro twist (above). Their Nibs also has a range of Gruffalo pyjamas that will be a winner with little Gruffalo fans. Cotton crepe, silk and chiffon are the stuff of I Love Gorgeous. Prepare to fall in love with every one of their divine dresses (pictured above). 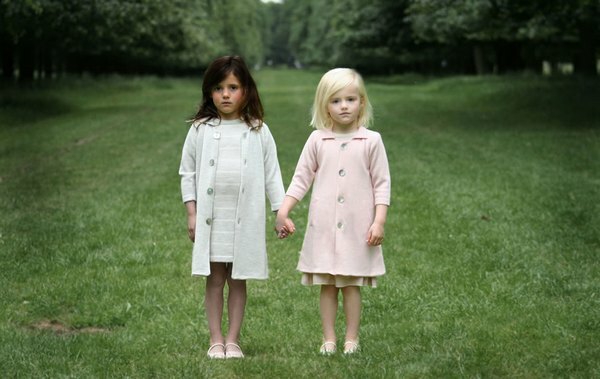 It may be the choice of delicate fabrics or the subtle colours – dusty blues, sage green and shell pink – but I Love Gorgeous is thoroughly gorgeous (Brides-to-be please note, you are unlikely to find a more beautiful flower girl dress than the cream taffeta Marie Antoinette Dress). 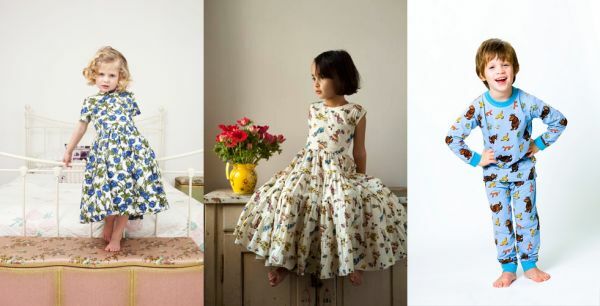 Collections from Eggcup (including a practical unisex vest and show-stopping big bow party dress); Helen Gordon (unique retro-folk prints for clothing and homewares give classic shapes a modern edge – think Hansel and Gretel – see image above right); and the cutest traditional pyjamas from Pixie Dixie (try to resist the London Buses design for little boys) are also worth a visit (pictured below). It’s not all about British talent though. Australia’s own Minti are showing off clever graphics and distressed denim, down-under style. Three Little Trees, Munster Kids, Mae and other Aussies are also there. And it wouldn’t be a trade show without something new from style-central, Scandinavia. As a mother who is over helping a toddler get tights on and off, I am always on the look out for long socks, of which there are surprisingly few on the market. So MP Socks from Denmark jumped out at me – with loads of Danish cool (stripes and colours) these socks are both practical and fashionable (above). 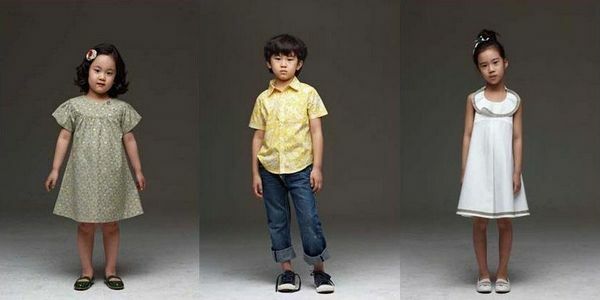 There is also the sweet clothing collection, Iwanit, from Korea which features an appealing balance of preppy cool and details to please – what girl doesn’t like a little frill and flounce? 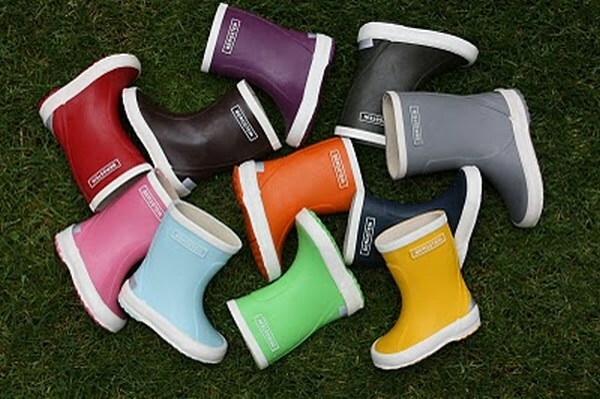 Don’t miss the sensational Bergstein Boots from The Netherlands – with so many fabulous colours, I’m not sure I could stop at just one pair. 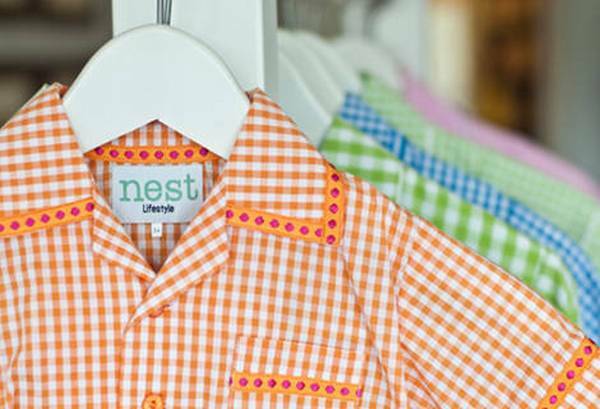 It would also be difficult to stop at just one pair of colourful pyjamas from Hong Kong’s Nest Lifestyle. Gingham has timeless appeal and the little details make these pjs irresistible. While these fabulous finds might not be quite on Australian shores yet, if you spot something you can’t live without, let us know and we’ll do a little research for you.